With 40 years’ experience, at Northern Concrete Cutters we know what we’re doing. We have the specialist high-frequency electric and hydraulic concrete cutting and drilling equipment to handle any concrete project from Mangawhai to South Auckland. Northern Concrete Cutters is a family run business and we have a loyal, highly trained, experienced team we are justifiably very proud of. Dion and Kelli took over Northern Concrete Cutters from Kelli’s dad, Norm, in 2014. However, they have both been involved with the business for many years. Kelli has been taking care of all the office and administrative sides of the business of the most part since 1987 when Norm Gibbons formed the business in Orewa. Dion began working for Norm in 2000 and the rest, shall we say, is history. Northern Concrete Cutters is a family run business with 40 years’ experience working with concrete. Our highly experienced team of 10 loyal staff based in Silverdale hail from Orewa, Red Beach, Algies Bay, Whangaparaoa and Swanson and are all focused on delivering quality service and workmanship. We pride ourselves on having the latest technology in the industry. 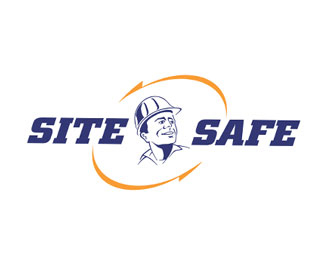 Our focus on quality service means that we are active members of leader industry associations including the New Zealand Concrete Sawing and Drilling Association [NZCSDA], New Zealand Master Concrete Placers Association and Site Safe. These associations ensure strict guidelines and best practices are adhered to in areas such as quality workmanship, customer care, health and safety and industry knowledge. The advantages for our customers is that they can guarantee they have a dedicated industry professional working for them.